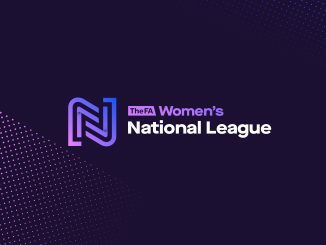 Keynsham Town won the FAWNL South West Division 1 championship with two games to spare, while Burnley and West Bromwich Albion are now both on the verge of promotion. Blackburn Rovers came from 2-0 down to win 5-2 in front of over 300 at Nottingham Forest. 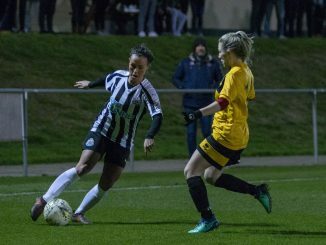 Katie Middleton and Precious Hamilton threatened a shock result but the Northern Premier champions hit back through Lynda Shepherd, Natasha Flint, Sophie Charlton and a brace from Saffron Jordan. Huddersfield Town won 2-1 at second-placed Sunderland with goals by Brittany Sanderson and Lucy Sowerby. Derby County are a point behind third Middlesbrough after defeating them 2-0 with efforts from Monique Watson and Jodie Redgrave. Stoke City remain goal-difference ahead of Fylde following a 2-2 tie, Emily Owen with both for the Potters, Danielle Young and Emily Hollinshead on target for the visitors. QPR may still be without a win but managed to hold Southern Premier leaders Coventry United, Tasha Paetit cancelling out Nikki Miles’ opener. Plymouth Argyle are up to fifth after downing MK Dons 3-1. Portsmouth leapfrogged Gillingham into eighth when beating them 2-0 on the road with second-half goals from Katie James and Eilidh Currie. West Brom are a point away from the Midlands Division 1 title with three games left, after putting five goals past hosts Bedworth United. Nettleham moved into the middle of the table with a 3-0 beating of Burton Albion. Solihull Moors came from behind to win the basement battle with Steel City Wanderers 2-1. Burnley just got the better of next-to-bottom Morecambe 3-2 with Sarah Greenhalgh twice on target, leaving her side needing a single point from three remaining matches to become champions. Brighouse Town put five past Crewe Alexandra as Lavinia Nkomo netted a couple. Barnsley also netted five at Chorley where Drew Greene got two. Liverpool Feds sealed victory at Newcastle United with a late brace but Leeds United were goalless against Bolton Wanderers. Crawley Wasps require one win from four to finish top having sent Cambridge United home beaten 6-1. Actonians are third following a 3-0 result at Luton Town, Enfield Town closed in on Orient, Molly Peters with two of their four goals. Georgia Heasman and Sophie Manzi found the net as AFC Wimbledon won at Ipswich Town. Keynsham Town clinched first place when sinking Southampton Saints, Kerry Bartlett with four of their five goals. 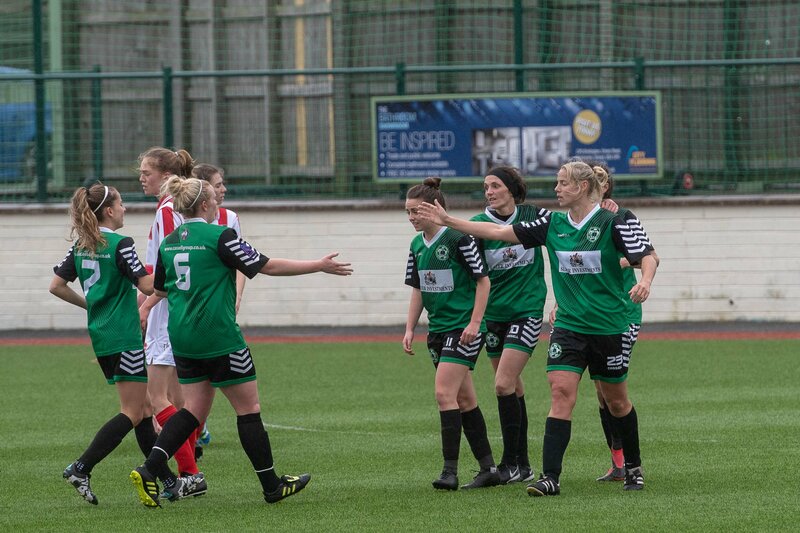 Cheltenham Town’s Annie Martin scored three of four goals at Chesham United, Sarah-Louise Stacey hit a hat-trick as Buckland won 6-1 at Brislington, Larkhall Athletic sent Poole Town home beaten 7-0.